If you are interested in joining the Hobby Motorhome Owners Club, contact the membership secretary, Sue Dalley on 07719 939 146 or send an enquiry via the Contact page. The current joining fee is £25 and the annual subscription is £15. The year runs from the beginning of April to end of March. If someone chooses to join during the period, then the £15 will be divided by 12 (£1.25) and multiplied by the remaining months. 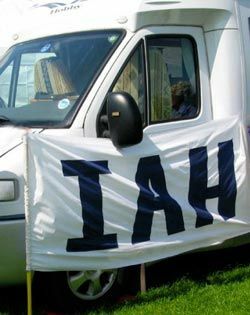 You can download the IAH Application Form and Standing Order mandate here. Each member receives a membership card, access to the members area of the website to include all of the benefits detailed below and of course, good company. We are always glad to welcome new members, even if you haven’t got a van yet!